How is the everyday training this week? So, lets see how is a training at IBU in the Kyudo club at the moment. We start at 17:00. And yes, it is 17:00. not 16:58 or 17:03. Exactly 17:00, even if everybody is there and ready before. Then we take our place in the dojo and wait for 17:00 to come. At 5pm we have line up and shinto style rei before the little jinja on the wall. After this we start with competition practice. Since we will have a shiai (competition) on Sunday we practice in the group with what we will enter. Its a 5 person guys group. I am the third shooter and its renmei style taihai shooting. I am getting the hang of it after a few days. Its far from pretty yet, but I know when to do what and that’s a start. We go through this 5 times until the hit board fills up. One set is 4 arrows so all together it ends up at 20 arrows. The person/s who goes for the arrows goes out on the side door, puts on outside slippers and ties up the hakama. He goes next to the shooting area, claps twice and shouts Hairimasu and waits for an answer. 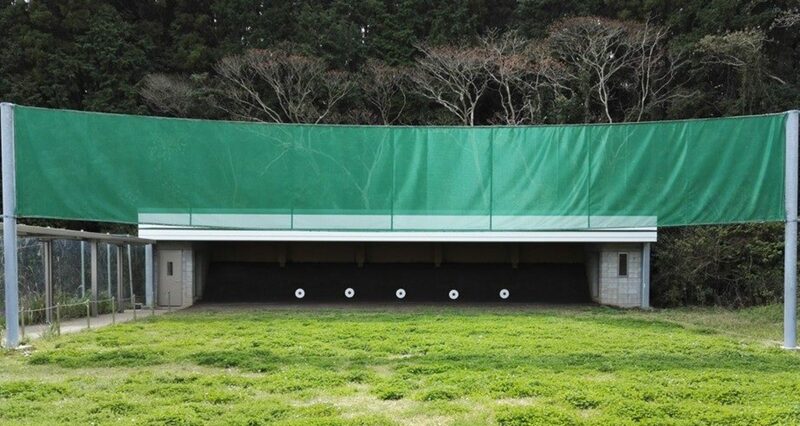 One of the not shooting kyudoka will go to the front of the dojo and if there is nobody shooting at the fifth mato (which is the closest one to the walking area next to the shooting field) shouts back Onegaishimasu. The yatori person runs out to the azuchi and waits there until everybody is done with shooting, then claps twice, shouts hairimasu and goes in to the azuchi to the first mato, checking all matos on the way. Then runs back the the last one backwards and shouts back the results to the dojo where they confirm it with the score board and one person notes down everything. Then the arrows are collected and the yatori person stands next to the azuchi and shouts back dozo, so the next group can start shooting. Then he runs back to the side door of the dojo, where the cleaning equipment is. This is a real kyudojo, so we have earth behind the matos. This means after bringing back the arrows we have to clean them. First with a wet towel, one by one and the arrowheads, then with a dry towel. Then check if all the nocks are in place and if you cleaned it well and put them back in their place in the dojo. When we are done with the competition practice we have free shooting (kaigi). Yatori when there is around 10 arrows in the azuchi area, so around 2 arrows per person. This is a less formal yatori, no shouting back the results. And that’s about it. Then the training ends, which means an other rei and cleaning up. Sweeping all the dojo and dusting everything. Bringing back the matos and redoing the earth in the azuchi. Then go over it and the wood above with water. Then scrape off the earth from the matos and put on new paper. Max 4 layers, if it reaches for we have to restart from the frame. One of the sensei is present for some time in the training, checks everybody and gives advice. And this concludes an average training this week. It might be different later on, but for now this is about everything.